:) This really beautiful love story of an arranged marriage we did in Delhi. We offer professional photography services for all occasions. We specialize in Punjabi Wedding, Destination Wedding, Theme Wedding, Candid Wedding, Catholic Wedding, Christian Wedding, Concept Wedding, Couple Portraits, Engagement, Gujarati Wedding, Hindu Wedding, Indian Wedding, Pre-wedding Shoots, Marwadi Wedding, Muslim Wedding, Reception, South Indian Wedding, Bridal Portraits, Wedding, Maternity and Special Occasion photography and have been in the business for 2 years now. Apart from regular photography, we offer products and services such as Frames, Photobook, CD / DVD and Coffee Table Book. We cover events in Goa and All Over India, depending on the requirement. We are comfortable communicating in Hindi and English. 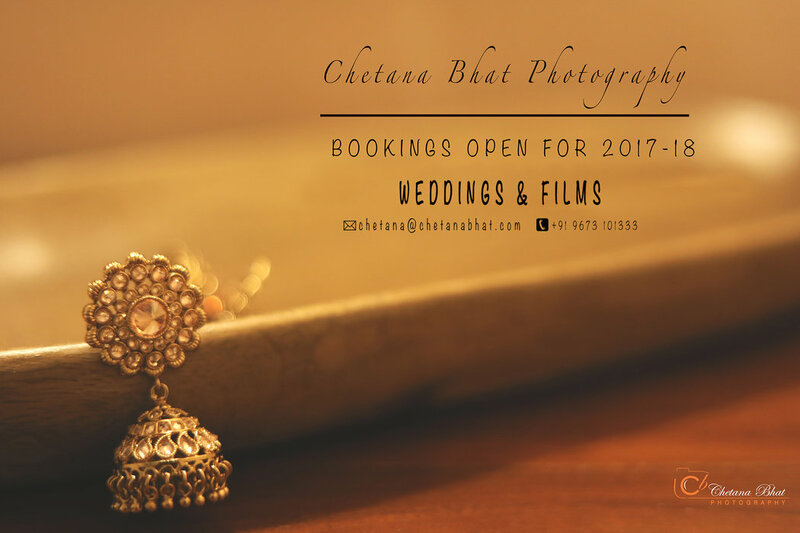 Your message was successfully sent to Chetana Bhat Photography. The Photographer may contact you soon.